So as you can see above, the set is getting close to being done! Two more walls to finish, paint, and then we start to dress it for filming! Exciting stuff, time consuming, but ultimately very rewarding! With a bit of luck, plate photography will happen next weekend. Next order of business is prosthetic manufacturing which hopefully will commence early this week. Stay tuned for more progress reports! Just wanted to thank everyone for voting for the ole Cap'n. NEXT year we will appear on the actual ballot. Work continues on the new episode. Will have new photos to share soon! 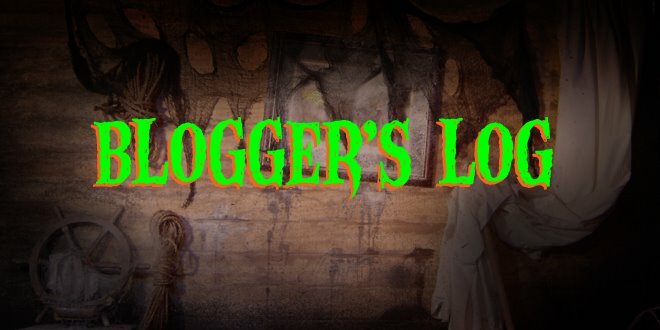 Please take a minute to visit www.rondoaward.com and write in Captain McAllister's name for favorite Horror Show Host of 2008! It isn't necessary that you vote in all categories (unless you want to, of course). If you feel so moved, why not write in www.phantomharbor.com in categories number 14 (best horror web site) and number 19 (best web audio horror program) while you're at it. Voting ends March 21st, so get going and spread the word! In the meantime, work continues on Episode 2, and until next time, I'll see you at the Harbor!